decided that a snake is his or her pet of choice, or if you’re thinking of getting one yourself, here are a few things to consider before you bring home a snake. of the rooms in your home? Have room in your freezer for a rat or two? Snakes eat rodents so if it bothers you to handle mice or rats, even dead ones, forget about owning a snake. They don’t eat every day, but if you have to go away for an extended period, you will need to find a snake sitter to care for your pet. You’ll also need to find a vet who treats reptiles. longer.This means you need to be prepared for a long-term commitment with your new friend. you keep it. Snakes are incapable of having emotion of any kind, not love or affection or loyalty. Their brains simply have not evolved to the extent where that is even a possibility. You can’t train snakes to do anything. A snake doesn’t have ears and is deaf, so it’s not going to come to you when you call it. All of its reactions are simply instinctive. All snakes bite. 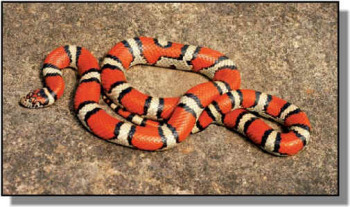 If the snake can’t get away and feels threatened, cornered, or simply doesn’t want to be handled, it will strike and try to bite you. This is the snake’s only defense. the snake does not want to let go. There are more serious issues to consider. Reptiles are natural carriers of Salmonella. Some estimates have it that as high as 90 percent of reptiles have the bacteria. The U. S. Centers for Disease Control and Prevention (CDC) estimates that 74,000 cases of Salmonellosis per year are associated with reptiles or amphibians. The highest risks groups for this type of Salmonella are children and people with compromised immune systems.For this reason, CDC recommends that reptiles should not be kept in homes or childcare centers with children under the age of five. Because of this risk, you need to wash your hands thoroughly every time you handle the snake. Cleaning the tank, or washing reptile equipment in kitchen or bathroom sinks, and other indirect contact with the reptile can also help transmit Salmonella, so careful cleaning of all surfaces the snake has come in contact with, including your clothes, is critical. That means allowing your snake to crawl freely around the house, especially in the kitchen or anywhere food is served, is not a good idea. Pythons and boas have killed children and adults. True, being killed by a pet constrictor is rare. But it does happen. As a general rule, any constrictor eight feet long or more can easily kill a child; a snake more than 12 feet long can kill an adult. As they do with a prey animal, these snakes wrap themselves around their victim and squeeze tightly as the victim exhales. Unable to breathe, the victim quickly asphyxiates. Still want a pet snake? Maybe you should do yourself and your family a favor, go to the local animal shelter and adopt a cat or a dog. Camels... Playing? The Animal Video of the Day!!! Eagle Tummy Rubs! The Animal Video Of The Day!! !